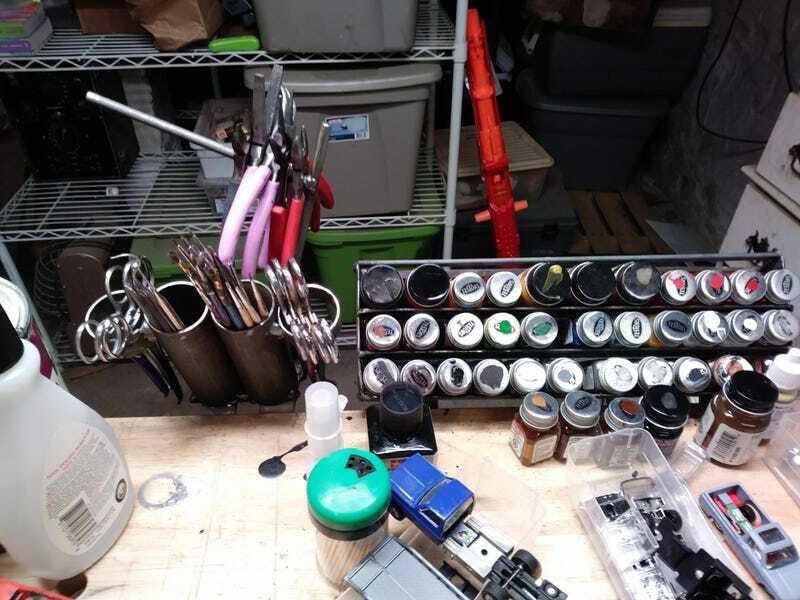 The Worlds Most Overbuilt Paintbrush Holder joins The Worlds Most Overbuilt Paint Rack on the bench. Like the rack, I welded it up out of metal scraps. I have a tube for brushes, and another for files/picks. The rings on the side hold the forceps, and the T off the back is for pliers, cutters, etc. The paint rack will need another tier welded onto it soon.